The Lite Control Pad from Mousetrapper is designed to suit a full-size keyboard and make long hours of computer usage a little less painful with a slim and ergonomic construction. This touchpad accessory is built to be an alternative to a conventional mouse with a resolution of 1500 dpi. Furthermore, the Lite Control Pad houses a total of four buttons, which provide scrolling and auto-scrolling functions. This touchpad also allows for right-clicking, double-clicking, and other click functions. Aside from responsive navigation, the control pad has built-in wrist pads that are designed to ensure comfort while its plug-and-play design allows it to be plugged into an available USB Type-A port. Moreover, the Lite Control Pad's slim and lightweight design contributes to this accessory's portability. Other features include compatibility Windows and Mac operating systems, and an included USB cable to aid your connection needs. 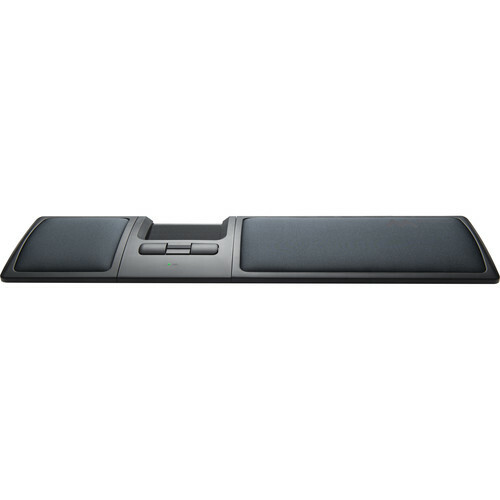 The Lite Control Pad is meant to be positioned centrally in front of the keyboard, which is designed to encourage an ergonomic typing position with minimized strain. Furthermore, its wide, cushioned wrist supports also relieve discomfort on your neck, shoulders, arms, and wrists. By placing your index, middle, and ring fingers on the Lite Control Pad, you can control the cursor with simple movements as the roller pad is designed to move smoothly in two dimensions.